I took a small sketchbook with me on our walk and draw day on the cliff lined shore near Monknash on the South Wales coast – and I found it much easier to work with traditional drawing media than with the iPad. However, I have not had much practice with the iPad in this way. One of the reasons for bringing the iPad was to get a bit more experience and make a better assessment of it when using it with a traditional approach to drawing – i.e. the SketchBook Pro program I used was set to use a “pencil” at 50% opacity. It would have been easier if I’d had a stylus! I found the strata of the rocks quite a difficult subject but that may have been my lack of practice! 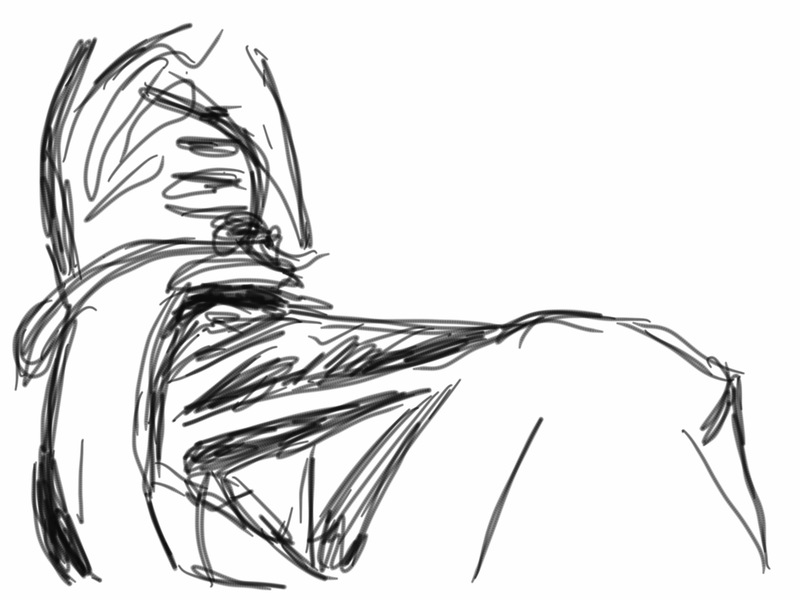 I first used the iPad for drawing when preparing for the Josef Herman Art Foundation Schools Award 2014 project. My first attempts were tentative, but practice obviously helps. Restricting myself (and the children) to using the “pencil” tool was intended to help us learn the basics and become familiar with working in this way. One thing I thought might be useful was the ability to record the process of drawing as an animation. Below are two of my earliest drawings on the iPad. I hope the viewpoint of the first is clear and the second is of one of the Rosa Mundi flowers in our garden. 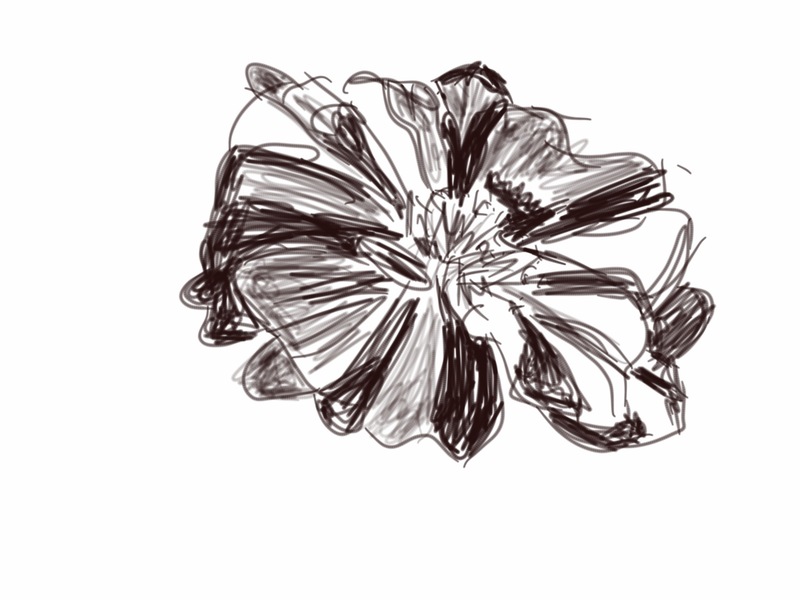 The flower is the one that would make attempt using colour on the iPad! Posted in art, Drawing, Video and tagged animation, cliffs, coast, drawing, iPad, Josef Herman, Monknash, observation, pencil, rocks, rosa mundi, SketchBook Pro, stop frame, strata, stylus, video.